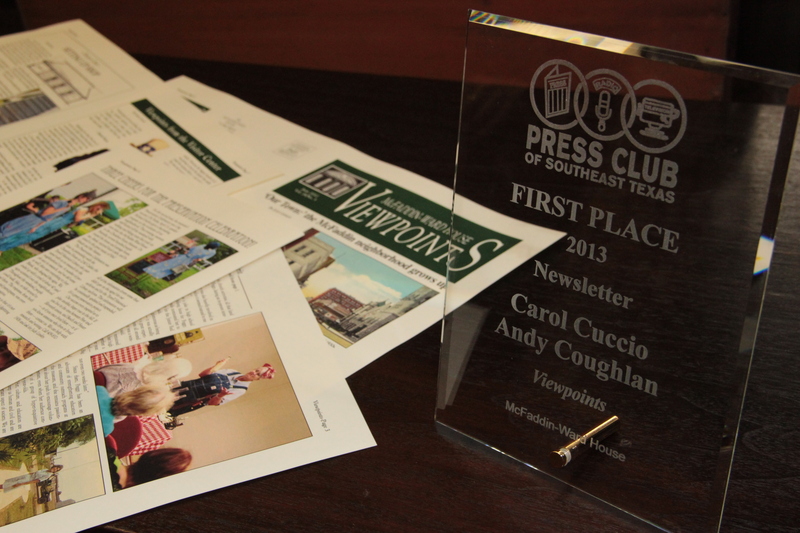 We are thrilled to announce that our quarterly newsletter, Viewpoints, won first place in the Press Club of Southeast Texas 2013 Excellence in Media contest! Viewpoints is a collaboration of articles and photos by our staff highlighting the cultural and educational aspects of the museum. Have a look at our recent issue! The Press Club’s annual Excellence in Media contest recognizes the best work in each journalism genre through judging by experts in media from across the United States. Works published, aired or produced and released in 2012 were eligible for entry. There were hundreds of entries submitted by local journalists, broadcasters and public relations experts competing for honors. We would like to congratulate all of this year’s honorees!